Damn this tomyam was good!! 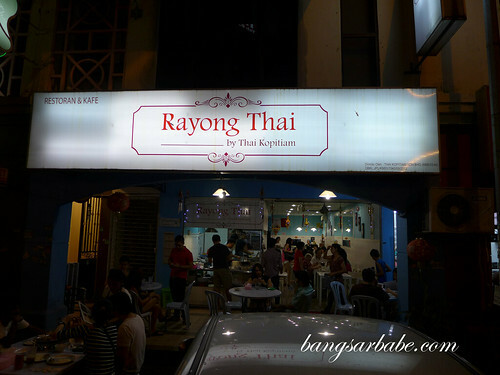 rif and I stumbled upon Rayong Thai by chance when our initial plan for Korean didn’t follow through as the restaurant was closed for renovation. 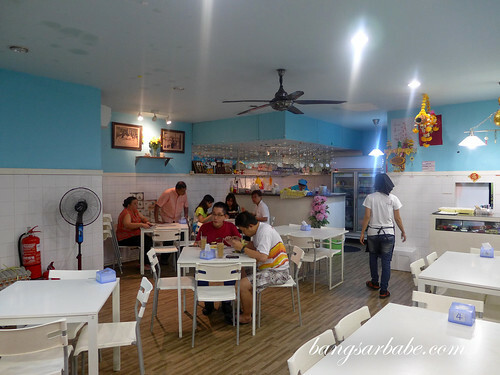 Rather than drive out to search for food (we got a good parking spot that’s why), we decided to explore other options around the area – hence, Rayong Thai. 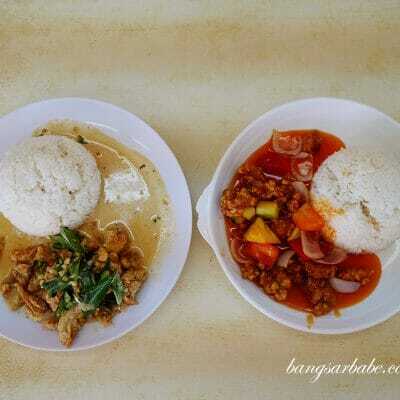 The menu at Rayong Thai is small, as most authentic Thai menus go. Of all the appetizers we ordered, the standout was the seafood and glass noodle salad (RM9.90). 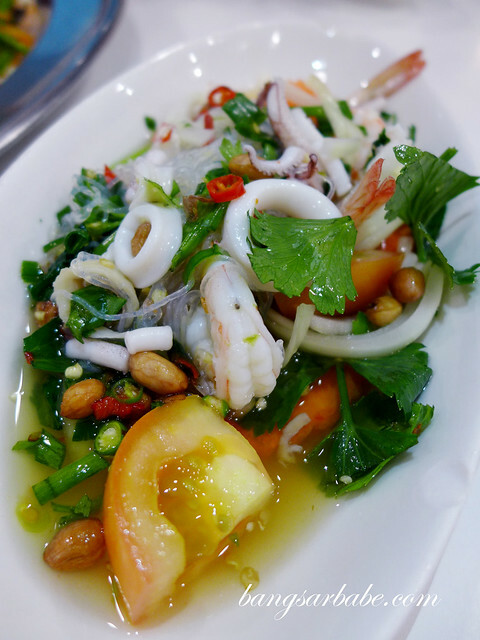 Tender slices of squid and prawns were tossed with a mix of glass noodles, lime juice and fish sauce for the extra oomph. 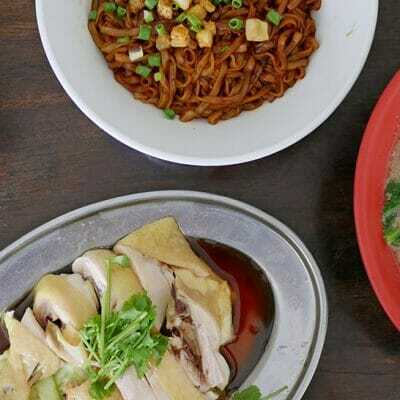 They add a lot of cili padi (bird’s eye chilli) into this dish so be prepared for some mouth tingling experience. 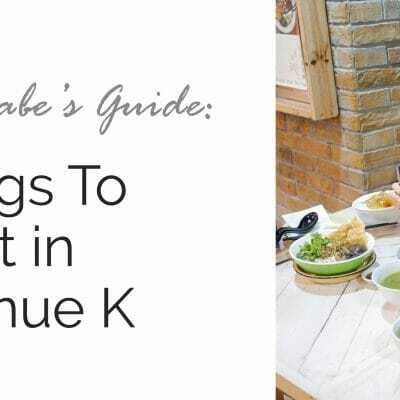 Both the pandan chicken (RM8.90) and fish cake (RM8.90) were forgettable. Portion for the former was small and I found the chicken dry because of the bite size ratio. 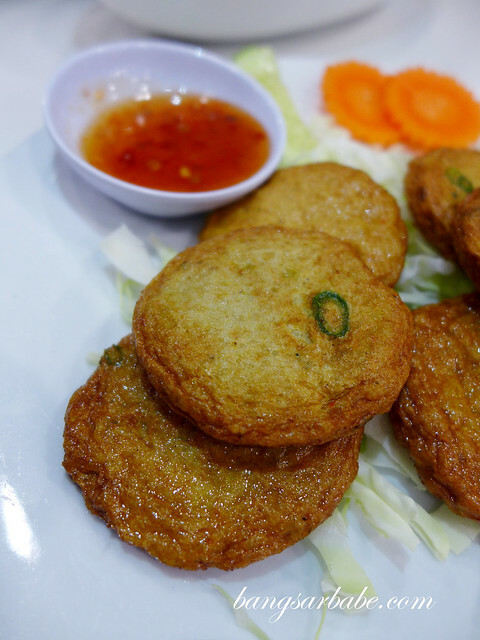 The fish cakes were alright, but I would have preferred them larger and thicker for a better bite. 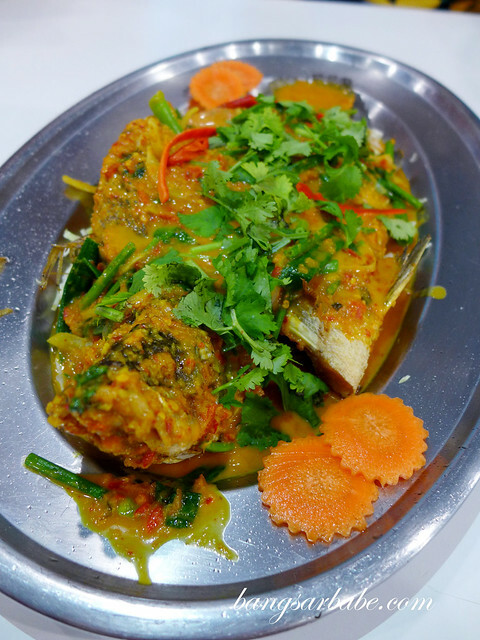 Red curry and assorted spices enlivened the fried tilapia, which was also topped with plenty of parsley for good aroma and a sharp contrast. This was tasty with white rice. 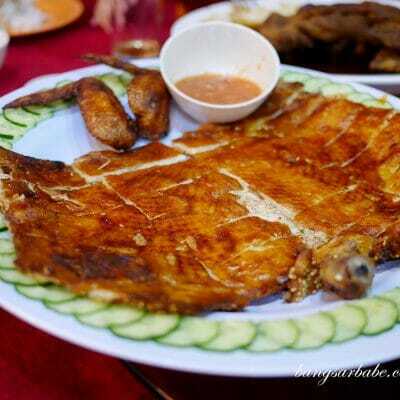 That said, I shall try the steamed fish with lime next round. 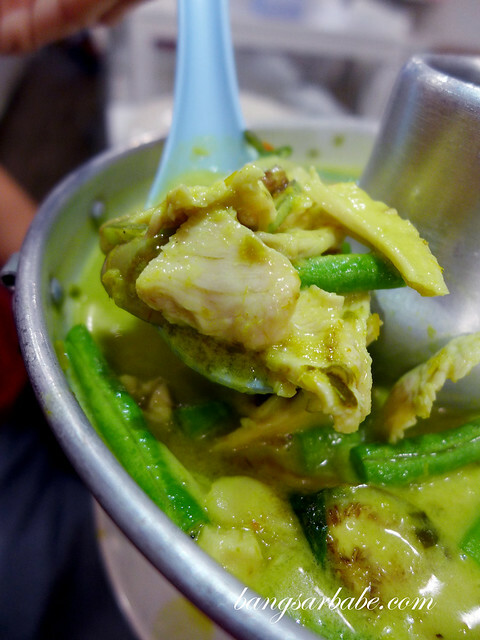 Green curry chicken (RM18.90 – large) was refreshingly light compared with others versions I’ve tried around Klang Valley. 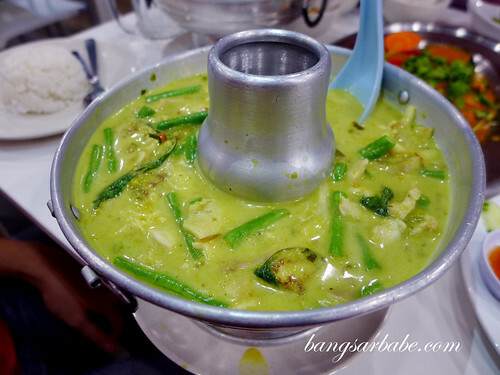 The coconut milk gave the curry gravy a creamy texture, while the baby aubergine and peas added bite to the overall dish. 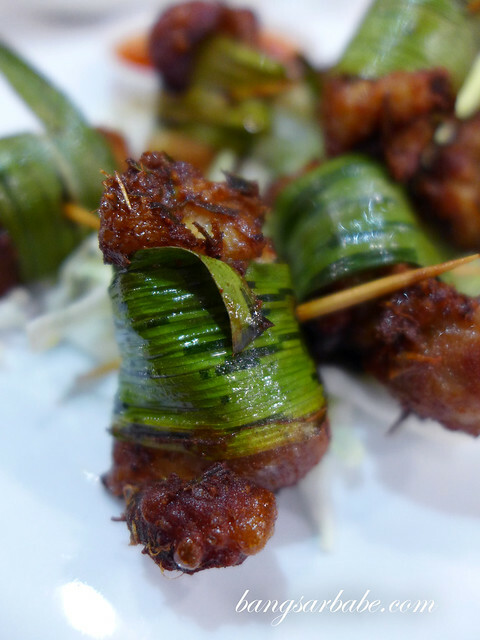 It may not seem spicy at first but don’t undermine its ability to numb the tongue. 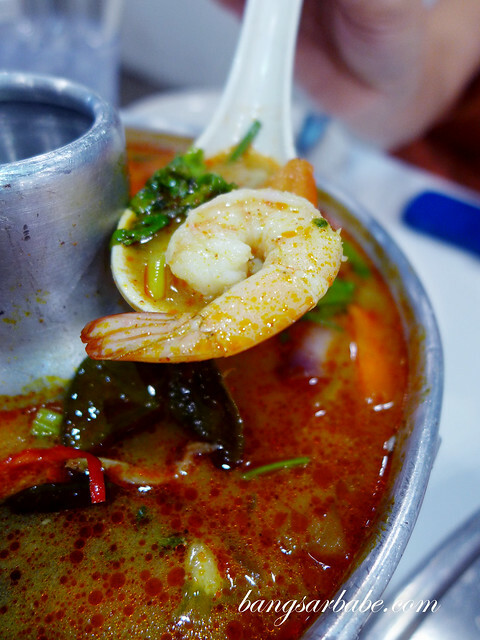 Seafood tomyam (RM20.90 – large) was an eye-opener, literally. 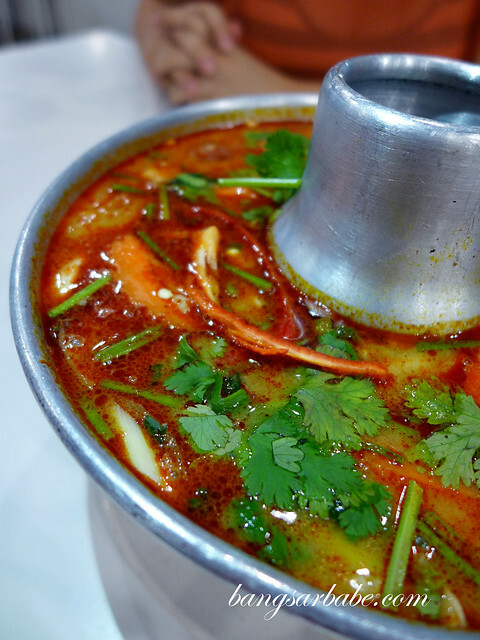 It was not only fiery, but flavoursome from the Thai herbs, lemongrass, lime juice, chillies and a bit of coconut milk. I also liked how generous they were with the seafood. This left me sweating by my 3rd bowl. Absolutely wicked! 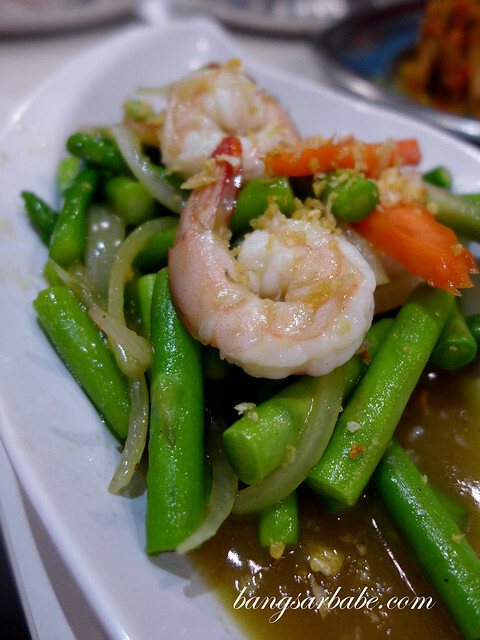 We ordered a portion of stir-fried asparagus with prawns (RM13.90) and it didn’t disappoint. The mid-sized prawns were fairly fresh and the asparagus was cooked just right, resulting in its still crunchy texture. 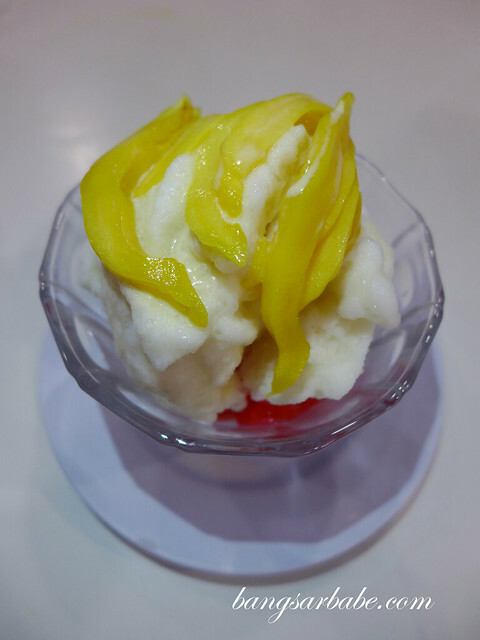 For dessert, the Tub Tim Krob (RM4.90) is a must-order. 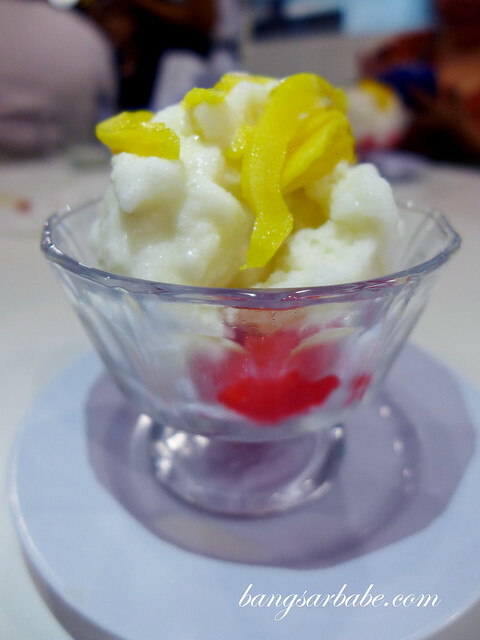 The shaved ice was as smooth as snow, thickened with coconut milk and sweetened with syrup. I especially loved the red ruby bits – made with crunchy water chestnuts. They were also pretty generous with the jackfruit slivers. Good stuff! Our bill came up to RM153 for all the above. Considering the (almost insane) amount we ordered for 4 pax, I think it’s very reasonable. Verdict: Simple Thai food done well. And you can walk out with your tummy full and wallet barely dented.